Texas: After being sent out to deliberate at 10:45 a.m., a Schleicher County jury returned a verdict of guilty for Abram Harker Jeffs less than an hour later. Jeffs, 39, a member of the Fundamentalist Church of Jesus Christ of Latter Day Saints, was charged with sexual assault of a child. He is the sixth FLDS member to be prosecuted on child sexual assault charges since a raid on the sect’s Yearning For Zion Ranch in Eldorado two years ago. 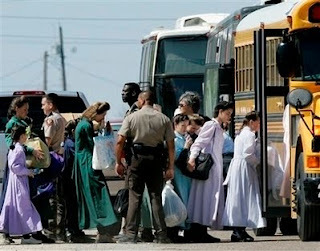 The state alleged that Jeffs assaulted a girl, then 15, with whom he was in an FLDS “spiritual” or “celestial” marriage on May 12, 2006, when Jeffs was 34 and already legally married.